Learn the 11 things you must know about disease classification, causes and diagnosis of disease, fever and immunity, tissue repair, inflammation, cell changes and more. This course gives you a solid introduction to animal health with a focus on agricultural animals. Learn to examine animal health, explain various conditions and distinguish the suitable treatments and responses to a range of more common complaints or illnesses. 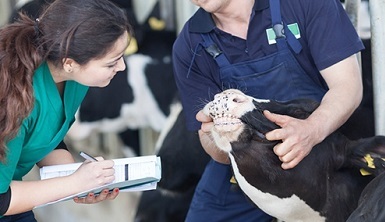 This course is different from our other online animal health courses in that its main focus is practical skills for managing health issues in agricultural animals. This course is suitable for anyone involved in animal husbandry. However, it is not suitable for veterinary nursing. Get expert tutor support from practicing Australian Vets. Explain the role of inflammation, including its symptoms and causes, in animals.